Michael Lewis, author of The Big Short, covers both the life stories and the intellectual work of Amos Tversky and Daniel Kahneman. It is only 5 years since the publication of Kahneman's own book, Thinking Fast and Slow. That was a rather formal book, giving explanations of his ideas in less technical language, but without a lot of personal details. Lewis's book is far more conversational and is about the personal lives of the two psychology professors. It is an easy read, spelling out the basics of their theories without getting technical. The first chapter is not about the psychologists at all, but rather is about the common mistakes people make in making predictions when choosing new players from high schools in sports, and how the mistakes were only satisfactorily explained by the work of Tversky and Kahneman, which is the lead in to the rest of the book. Much of the early book tells of the lives of the psychologists when they were boys in the early days of Israel. They had very interesting lives, and as they grew up and became involved in university and public life, they played a surprisingly important role in the growth of their universities and in the military tactics. They were brilliant academics who made a great impression on those who met them. For many years they worked independently, and it was only later on that they started working together. They soon came to work closely, and they achieved a great deal. Their relationship was a complicated one, with great affection, but also some tensions occasionally. They had different levels of academic success in the status of the US universities that hired them, and this created some awkwardness between them. There were also some issues about whether they got equal credit for their joint work. Eventually their working relationship declined but the friendship between them continued. 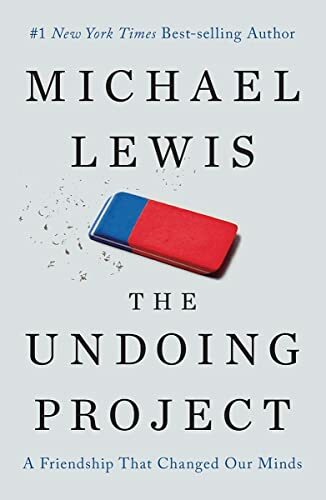 It is the richness and breadth of the ideas of Tversky and Kahneman that is especially impressive in Lewis's account. Their work covers so many different parts of our cognitive and emotional life it is hard to keep it all in view at the same time. Their work has had an enormous effect on psychology and public policy. Lewis's book brings home how important their work is and how the two of them spurred each other to better ideas. The reading in the unabridged audiobook by Dennis Boutsikaris is full of warmth and energy, and conveys the enthusiasm of the author.